I think it is safe to say that spring is officially here to stay. And with the coming of spring, it seems we’ve had an abundance of new restaurants and bars opening too. I’m continually blown away by how many food/drink options we have in this fabulous foodie town. 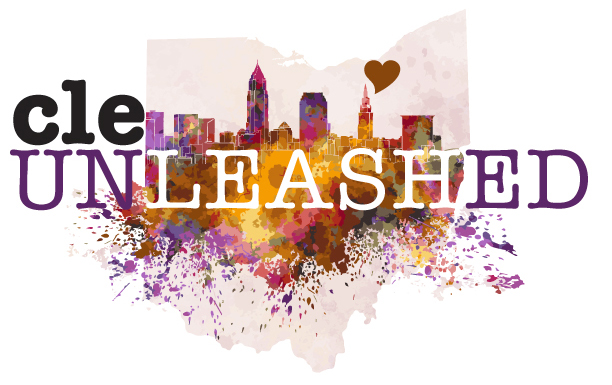 I am so excited to welcome some of these new bars and restaurants to the Cleveland scene! Have you visited any of these places yet? Would you recommend? Coastal Taco: Located in the Flats East Bank, this two-story, free standing restaurant is nearing completion and will be open May 27th! From what I can see, the outdoor patio looks fantastic and offers unbeatable riverfront views. Mabel’s BBQ: After several delays and much anticipation, Michael Symon’s newest restaurant is finally open on East 4th Street. While I don’t expect to find many vegetarian options on the menu, I’ve heard that the food and vibe is great! Expect to make a few new friends when you stop in, as there is communal picnic table seating. Wild Eagle Saloon: Tucked away on Huron Street, this new restaurant/bar/game/live entertainment venue is easily missed if you aren’t looking for it. A totally new concept to downtown, you load coin onto a card and dispense your own beer from over 20 selections. Plan on sticking around for awhile and playing one of the countless games in this 6,400 square foot space! Lakewood Proper Pig: Apparently BBQ is on the menu for what Cleveland needs. Proper Pig got started in the food truck scene, but just opened up their first brick & mortar location in Lakewood right around the opening of Mabel’s. Enjoy this Texas-style BBQ, located in the old Cleveland Pickle location in Lakewood. Nuevo Modern Mexican: The much anticipated mod-mex restaurant on the East 9th Street Pier is well under way and is expected to be done by, you guessed it, the RNC. The floor to ceiling windows on this two-story restaurant are going to provide fabulous lake views and who doesn’t love a tasty Mexican restaurant? So happy that we’ll finally be taking advantage of the lakefront too! Saucy Brew Works: One of the newest additions to the Hingetown area of Ohio City, this restaurant features brews from the former Butcher & the Brewer and Taphouse brewmaster, Eric Anderson. A self-serve brewery and pizza place that employs pizza ovens with baking stone conveyor belts that bake pies in less than two minutes. Victory Alley: Before it became a modern sports bar on Bolivar Avenue, this space used to be occupied by Tops and Bottoms Gentleman’s Club. The opening of this space happened on Opening Day of the Cleveland Indians and features massive 15-foot HD projection screens, perfect for game viewing of any kind.